In 2016, the Spanish construction company TSK was awarded one of the most important agreements in its history: Together with the German company Siemens, TSK was to build three thermoelectric plants located in the Bolivian cities of Santa Cruz, Tarija, and Cochabamba, which will increase the installed power in Bolivia by 50 %. 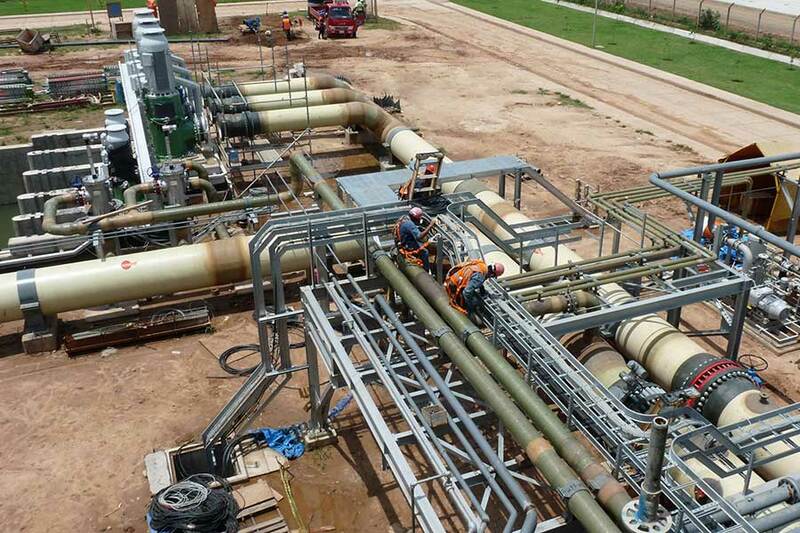 For the power plants of Warnes (province of Santa Cruz) and Entre Ríos (province of Cochabamba), Amiblu designed and supplied the necessary cooling water system with Flowtite GRP pipes. 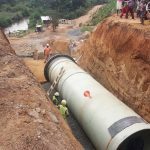 784.5 m of biaxial Flowtite GRP pressure pipes DN 1000 and 240.6 m of DN 700, as well as 2484 m of moulded biaxial pipes DN 25 to DN 250 were supplied and successfully installed between May 2018 and February 2019. 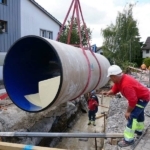 Apart from the pipes and all necessary accessories such as joints, gaskets, and lamination kits, Amiblu provided additional services to the client: stress analysis, isometric drawings, support design, as well as logistics and final hydraulic tests. Bolivia can now look forward to a powerful future.